Retro at the beach - comfortable 3 bedroom home with a sleep-out that can sleep 7 teenagers or kiddies separate from the house. Simple and homely for your holiday escapes from the city. Open the sliding door onto a huge deck for morning and evening sun looking directly at the stunning views over Little Barrier Island. 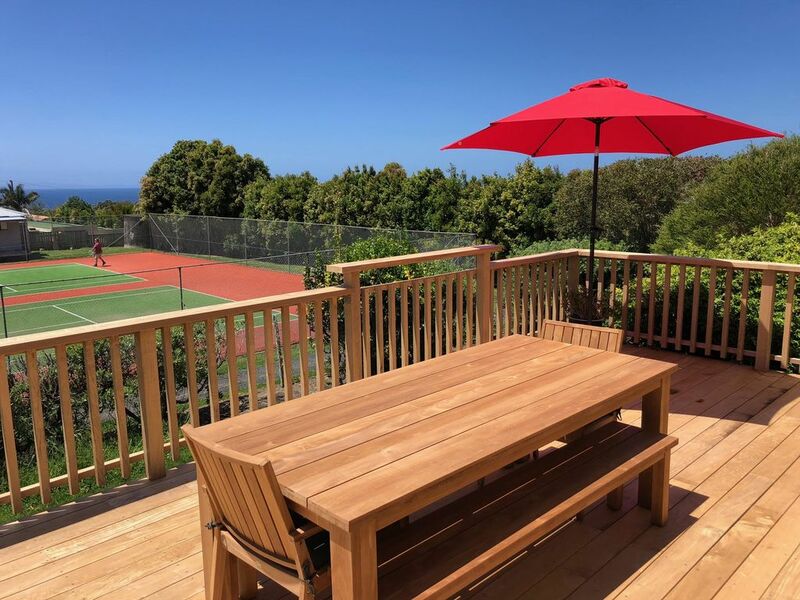 Sit in the spa and watch your friends play tennis or enjoy the views. Goat Island just a few minutes away if you love snorkeling and the underwater world. House was great. Exactly what we were expecting. The spa was awesome! Once we turned the lights off it was great to stare at the Matakana night sky.